Jean-Guy Poirier was walking along the beach near his home in the Magdalen Islands in 2004 when he spotted a bottle washed ashore. Inside that bottle was a handwritten note and, just like that, a hobby was born. "After I found the first one, I said, 'Wow, these exist? Messages in a bottle?'" He told Radio-Canada. "I found one. Then two. Then three. I became a sort of collector." 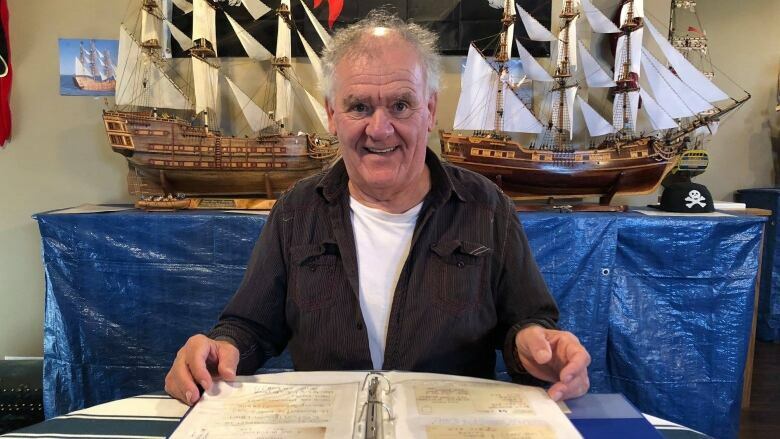 Since finding that first bottle, Poirier has explored the islands' vast beaches on foot or on his ATV and found 104 bottles with messages stuffed inside — messages from across Quebec and the Maritimes and around the world. Quebec's Magdalen Islands are tightly grouped in the Gulf of the St. Lawrence, closer to Prince Edward Island and Nova Scotia's Cape Breton than the Gaspé Peninsula. Most bottles Poirier has found were launched by vacationers visiting the Gaspé or Maritimes, but he has found bottles from as far away as the Caribbean and Norway. And while most notes date back to more recent times, some messages were bottled decades ago. "I found one that was in the water for 40 years," he said. Inside each bottle, he's discovered a range of notes, images and drawings, from kids and adults alike. 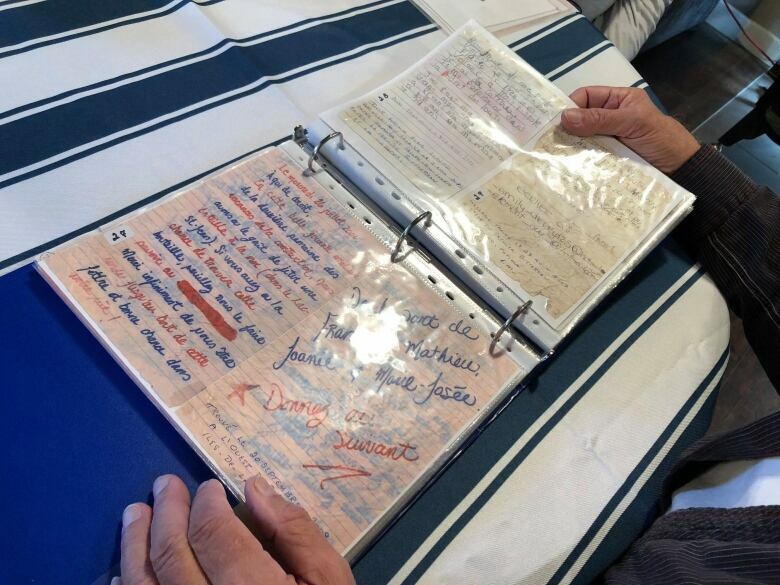 Many are written in French, but he's found English notes and some in other languages, as well. Some are declarations of love. Others of loss. One bottle, dated August 2013, contained renewed wedding vows from husband and wife. Another, dated October 2016, contained a message from a brother, telling his sibling how much he misses seeing and speaking with him. 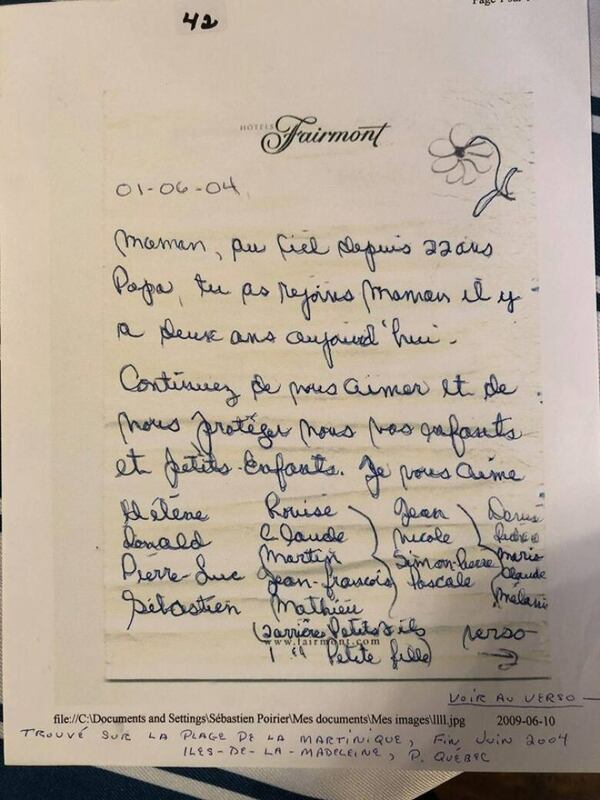 One message, dated Jan. 1, 2004, is addressed to a mother who died 22 years earlier and a father who joined her two decades later. It asks the parents to look over the writer's family. "I love you both," it says. Often, messages ask for a response by email, phone or post. One, from a couple in Ohio, contained two American dollars to cover the stamp. Poirier always contacts the senders, letting them know the message has been found. Kids, he said, are always the happiest to hear from him — learning their bottle had travelled sometimes hundreds of kilometres. Then, with the help of his wife, he compiles the messages in a large binder, documenting where and when he found the bottle. Often he takes and attaches photos of the found bottle, half buried in the dunes or tucked away in a nest of sundried seaweed. 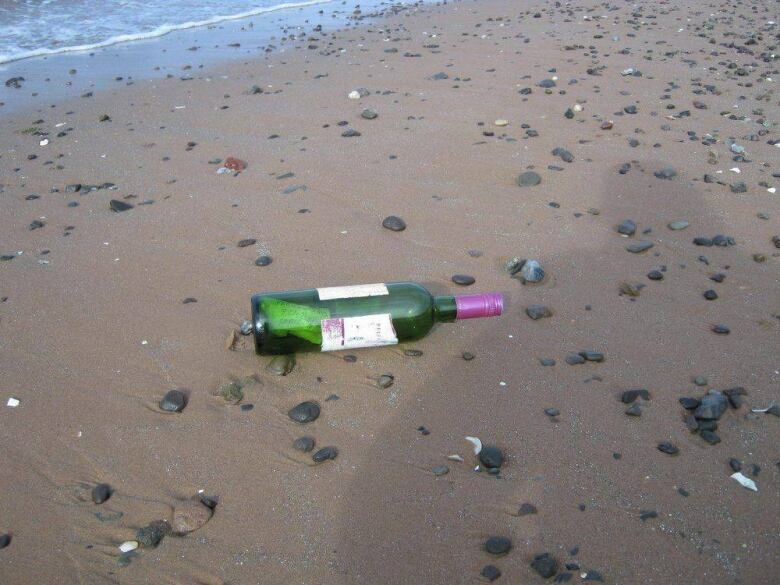 Beaches on the north side of the islands are the best for finding bottles with messages inside, he said. "After a big storm, it's fun to go searching," he said. "But if you're looking, you won't find one. It's only when you're not looking that you find one."